Doctors in NSW are testing an Australian-made technology bringing virtual reality to CT, MRI and other medical images. Local Startup Vantari VR is developing the technology that will medical images from two-dimensional black and white medical scans into virtual reality. Doctors are testing the technology by showing patients their scans using virtual reality headsets. Vantari VR is also developing the technology for use in surgical planning and to train junior doctors. The company was founded by Dr Vijay Paul and Dr Nishanth Krishnananthan. Knee surgery patients at Sydney’s Campbelltown Private Hospital will be amongst the first to experience this technology during a six-month trial. At Westmead Hospital in Sydney, Vantari VR is being piloted for procedural training where junior doctors and trainees are able to learn from immersive simulations hosted on a sophisticated virtual reality platform. Vantari VR is also being tested at Royal Prince Alfred Hospital where surgeons are turning traditional scans into virtual reality and using VR headsets to plan surgical procedures. According to Stamford University in the US, using virtual reality for surgical planning increases accuracy by 10 per cent and decreases planning time by 40 per cent. When Vantari VR was in its prototype phase Dr Vijay Paul and Dr Nishanth Krishnananthan participated in the HCF Catalyst program. The program is an accelerator that supports health care Startups and Scaleups develop their ideas into investment-ready businesses. “The HCF Catalyst program helped us see the greater potential to use virtual reality to not only educate patients but drive better understanding across the health system," said Dr Krishnananthan. “As doctors we had clinical acumen and a good work ethic, but we needed support to learn new business skills. The HCF Catalyst program taught us how to create a sustainable business model and fundamental professional business skills like sales and pitching,” said Dr Paul. 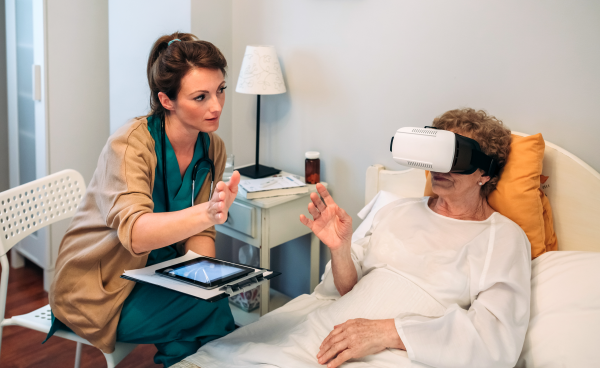 HCF CEO Sheena Jack said Vantari VR is an example of how technology has the power to make health care more understandable and high-quality for patients. “We run the HCF Catalyst program to support entrepreneurs like Dr Paul and Dr Krishnananthan who are using technology to make complex health care processes easier for Australian patients to understand and have potential to improve patient outcomes,” said Ms Jack. Applications for the 2019 HCF Catalyst program are now open until 23 November 2018. For more information, visit hcfcatalyst.slingshotters.com.